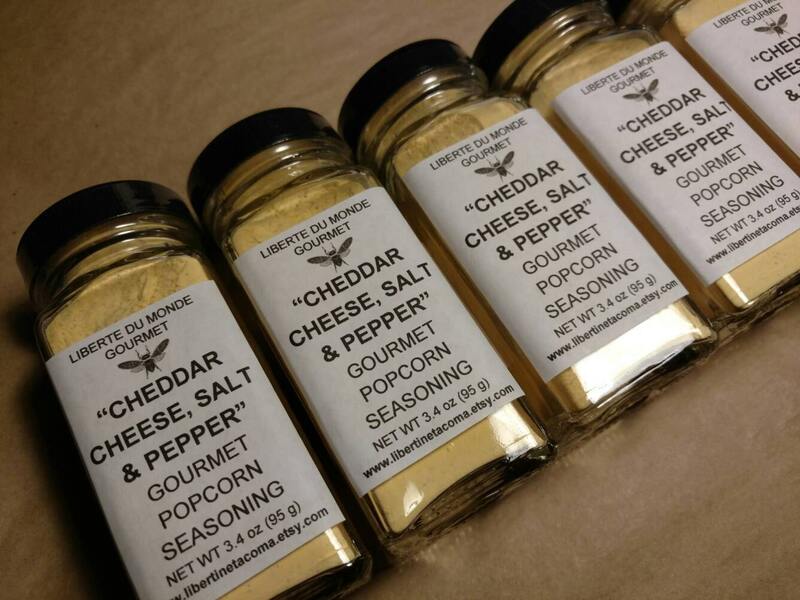 This is one of my delicious gourmet popcorn seasonings. It can also be used on vegetables and anywhere else you want to add some savory cheesy deliciousness! 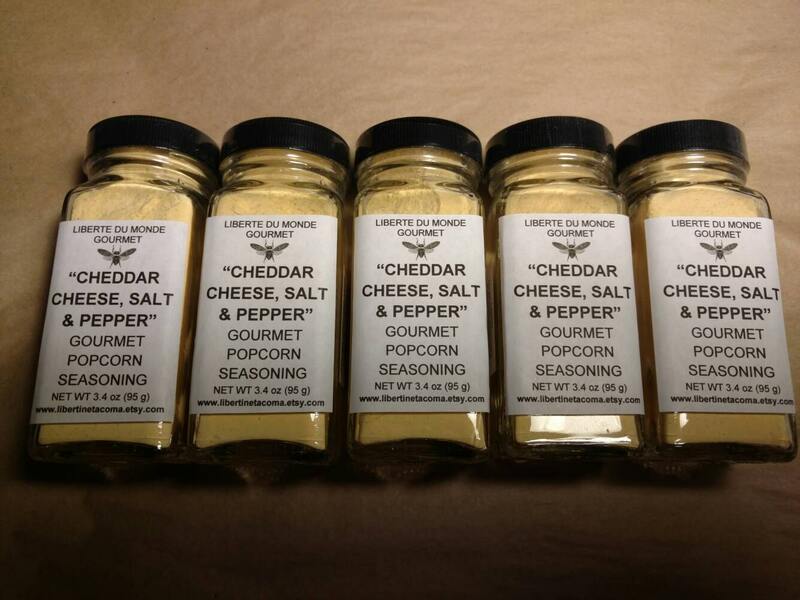 "Cheddar Cheese, Salt & Pepper Gourmet Popcorn Seasoning" is a delightful combination of cheesy and savory. 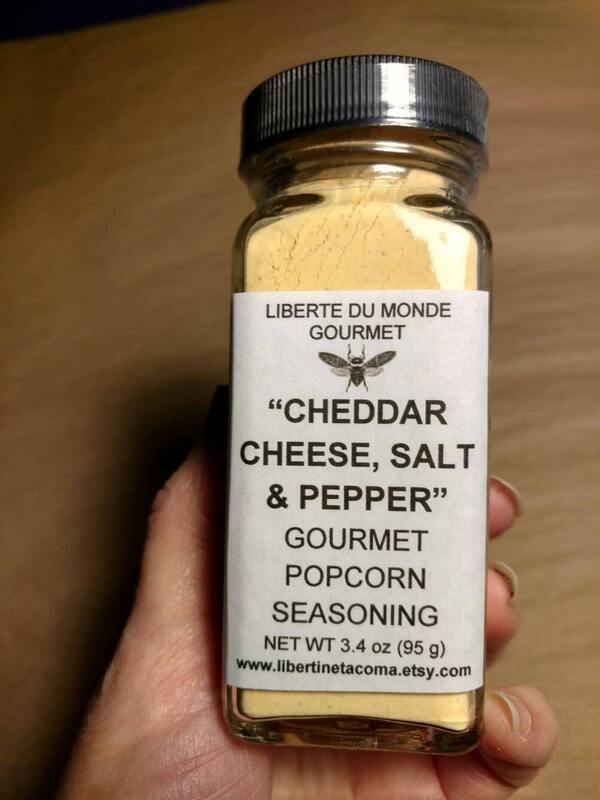 Simply sprinkle on your popcorn, veggies, baked potatoes or French fries and enjoy! Available in a glass 4 oz glass shaker jar or a 4 oz resealable pouch. Himalayan Pink Salt, Cheddar Cheese Powder (pasteurized milk, Salt, cheese culture, enzymes), Butter Powder (butter, sea salt, buttermilk cultures), Ground Black Pepper.